VDS #055. The PIONIER (9) is said to be the first series-built fiberglass cruising yacht built in Europe. A prototype was built of wood that became the 'plug' and the first boat was finished in the summer of 1959, just in time to participate in the Flevo Race of that year. E. G. van de Stadt sailed the race himself and finished first in class. 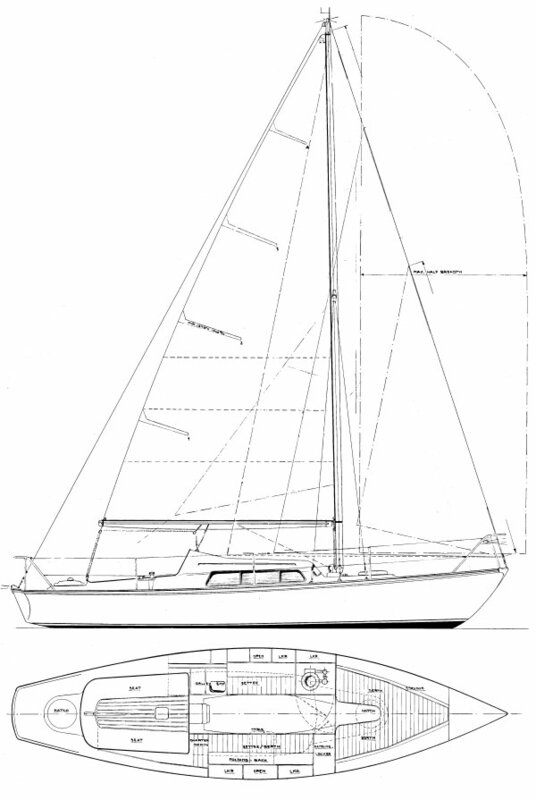 The PIONIER 9 was also built in the UK, molded by Tyler Boat Co, and finished by Southern Ocean Shipyard. Thanks to 'Gerard' and Jan Derks for supplying information.